At any event, be it a product launch, awards dinner, show or conference, the energy you maintain in your audience is crucial. This is where the Corporate MC plays a critical role in contributing to the success of an event. 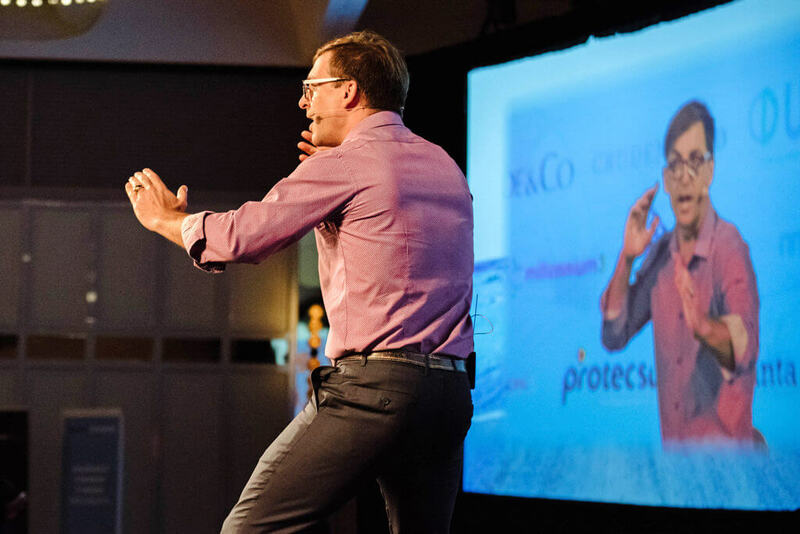 Whether it be humorous, thought-provoking, and serious or a combination of all of these, the MC sets the expectation and tone for your event – bringing you a unique energy from outside the organisation. Simon has an unnatural ability to get an audience engaged, energised and interacting rapidly. You may not remember all the tiny details of the conference, but your audience will ALWAYS remember the energy that filled every corner of the room. Ensure that everyone has a great time and remembers the event long after is finished. Are you ready to take your event to a whole new level?